The mass cane plant, also called Dracaena massangeana or the corn plant (thanks to the shape of its leaves), decorates the insides of many homes with its bright, tropical-looking foliage. Native to Africa, the plant prefers warm temperatures and high humidity. If you notice some discoloration on the mass cane leaves, you could be facing a number of problems, and you must address the issues before the damage spreads. Mass cane plants grow best in intermediate temperatures, generally between 60 and 80 degrees Fahrenheit. Temperatures outside of this range can cause problems on the plant, including curling leaves and even, in extreme cases, defoliation. Brown edges of the leaves are commonly a sign that the plant is too cold and will generally occur when temperatures fall near or below 50 degrees Fahrenheit. Sudden temperature changes can also cause similar issues, with plants curling or browning at the tips. Over watering and under watering can cause similar signs of damage, so it may be tough to know which you are dealing with. Essentially, over watering suffocates the roots so that they cannot absorb water. Under watering provides too little water, so either way the plant isn't getting enough. Symptoms of watering troubles include leaves turning yellow or brown and wilting; the discoloration will often start at the edges and work in toward the centers of the leaves. In general, these plants need to be watered only once per week, but watered deeply, so that all of the soil is thoroughly soaked. Too much salt or minerals such as fluoride in the soil can cause burning on the tips of the leaves. These materials overwhelm the roots with nutrients, slowing or stopping the intake of water. 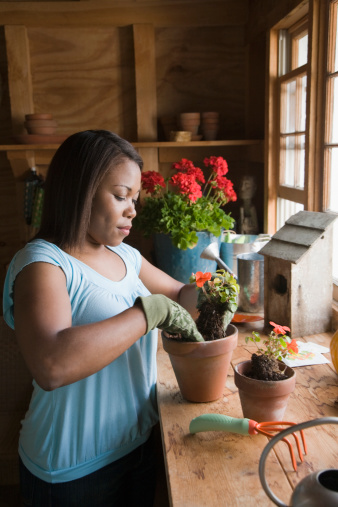 The best way to avoid this type of damage is to use filtered or bottled water to moisten the soil for the plants. Tap water can have trace amounts of minerals that will build up in the soil over time, but filtered or distilled water has been cleaned of all such material. Also, these plants require little to no fertilizer to thrive; excess fertilization will add these nutrients to the soil. A number of disease pathogens can show damage to the leaves of the mass cane plant. Fusarium moniliforme and Phyllosticta maculicola are both leaf spot disease that cause brown or red spots with yellow outlines on the leaves. These diseases are often attracted to plants that are already stressed or suffering from other issues, such as water problems. If you think you may be dealing with these pathogens, the fungicide sodium a-Naphthylacetate, also called NAA, can reduce or eliminate the fungus. Find this fungicide, as well as any help you may need applying it, at a garden center or nursery. Why Is My Sweet Potato Vine Brown? What Effect Does Distilled Water Have on Plants?